PEMF therapy or Pulsed Electromagnetic Field therapy for pain relief and pain management has been under research and development from more than five decades. Since ancient times, magnetic therapy has been applied by civilizations from eastern Europe and the far east for a variety of issues. PEMF therapy for pain improves the results experienced when using static magnets. While static magnets have been proven to benefit abdominal and genital pain, it can take years1 for results to manifest. 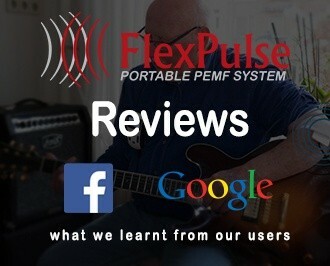 With PEMF therapy for pain, results can be seen much, much faster. Imagine the great efficacy of PEMF therapy for pain as we now know that treating ulcers2 with PEMF therapy is now a viable alternative to chemotherapy. Pain is a huge topic and can be caused due to a large variety of issues that affect both, neurology and physiology. The reason PEMF therapy works well for pain relief and pain management is that it does not just provide symptomatic pain relief, but aims to resolve the issue causing the pain. Almost every disease condition is due to mitochondrial dysfunction3. 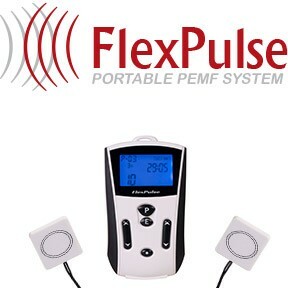 Pulsed electromagnetic field therapy when utilized effectively, improves the cellular energy. 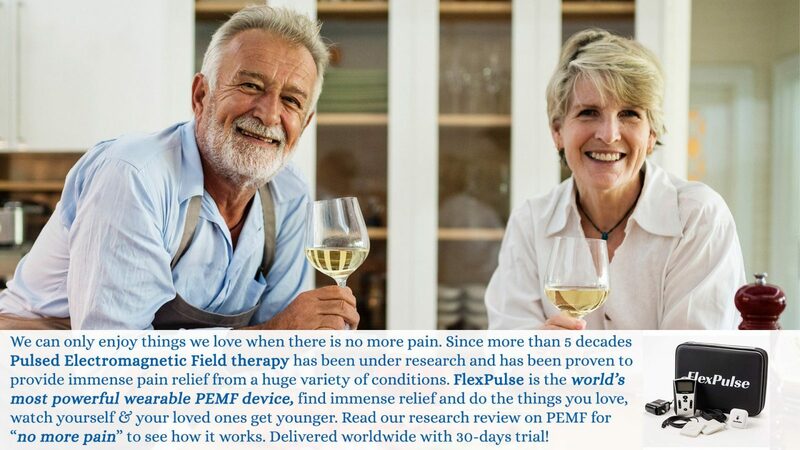 PEMF Therapy reduces pain in a wide variety of painful conditions. “Magnetic fields affect pain perception in many different ways. These actions are both direct and indirect. Direct effects of magnetic fields are: neuron firing, calcium ion movement, membrane potentials, endorphin levels, nitric oxide, dopamine levels, acupuncture actions and nerve regeneration. Indirect benefits of magnetic fields on physiologic function are on: circulation, muscle, edema, tissue oxygen, inflammation, healing, prostaglandins, cellular metabolism and cell energy levels… Short-term effects are thought due to a decrease in cortisol and noradrenaline, and an increase in serotonin, endorphins and enkephalins. Longer term effects may be due to central nervous system’s and/or peripheral nervous system’s biochemical and neuronal effects in which correction of pain messages occur; and the pain is not just masked as in the case of medication”. Pain is affected by inflammation and many reasons cause inflammation such as tissue damage, poor circulation, surgery, etc. Tissue cells like all cells operate on cellular energy derived from mitochondria. When a cell is debilitated, it’s electromagnetic activity is reduced and normal cellular functions as well as their self-repair mechanisms are negatively impacted resulting in inflammation and eventually pain. Numerous clinical studies have demonstrated that PEMF therapy has been successful in reducing inflammation. PEMF therapy treats the cellular source of swelling by recharging the cells with pulsed electromagnetic fields. This stops the release of pain and inflammatory mediators, reduces inflammatory fluids and allows an increase in blood flow, therefore increased oxygen intake, to help the cells heal faster with less swelling, pain and bruising. PEMF therapy has been proven to be effective in managing pain and inflammation due to post operative pain4, diabetic neuropathy5, fibromyalgia6, lumbar disc prolapse7, damaged cartilages8, neck pain9, arthritis10 and indeed many more conditions. The reason PEMF works for pain and inflammation as described earlier is simple and the best part is that it can be used to combat chronic pain causing conditions, ageing and genetic issues quite effectively.